One of the oldest, continuously family-operated, full-service fixed base operations in Wisconsin, is Morey Airplane Company at Middleton Municipal Airport – Morey Field in Middleton, Wisconsin. Third generation Morey family member, Richard Morey, attributes his company’s success to the foresight of his grandfather, Howard Morey, who founded the company and airport in 1942; to his father, Field Morey, who founded the company’s nationally acclaimed instrument flight training program in 1980, and laid the groundwork to sell their private airport to the City of Middleton in 1998; and to the company’s Midwest values of treating staff and customers with respect. Richard Morey is quick to credit his staff for their hard work, dedication and professionalism. 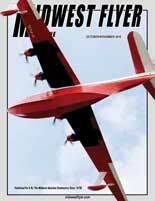 “Without our staff, Morey Airplane Company would not be the success it is today,” said Morey. Morey Airplane Company has a staff of 18 flight instructors, aircraft technicians, charter pilots, aircraft fuelers and office personnel. Some employees have been with the company through all three generations, and are considered more like family than employees. In 1958, Rollie Mack of Dane, Wis., was a full-time farmer, a private pilot and a recent airframe and powerplant school graduate when he stopped by the airport to apply for a job. Howard Morey was still managing the business at the time, and before Mack left the airport, he hired him to fuel aircraft and work in the shop. By the summer of 1960, Mack had earned his multi-engine and instrument ratings, and commercial and flight instructor pilot certificates, and began instructing and flying charter. After flying professionally for more than 20,000 hours, Mack now works full time in the shop. He is the recipient of the “Wright Brothers Master Pilot Award” for having practiced safe flight operations continuously for more than 50 years, and the “Charles Taylor Master Mechanic Award,” recognizing his lifetime accomplishments as a senior aviation mechanic. 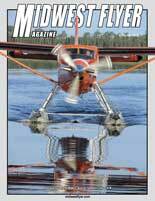 Al Barger of Poynette, Wis., has worked in Morey’s maintenance shop since 1987, and is today chief aircraft inspector with the company, heading up a staff who work on everything from single-engine piston aircraft to twins and turbines. Some of the other employees at Morey Airplane Company work part-time, like professional bank executive Pete Aarsvold of Verona, Wis., who flight instructs in the evening and on weekends. Others like retired engineer, John Appleyard of Sauk City, Wis., volunteer as ground school instructors. The Morey family has been honored many times over the years for their contributions to aviation and countless accomplishments. Howard Morey was inducted into the Wisconsin Aviation Hall of Fame in 1987, followed by his son, Field Morey, in 2004. Howard Morey was the first chairman of the Wisconsin Aeronautics Commission, president of Wisconsin Central/North Central Airlines (1953-54), and the first manager of what is now Dane County Regional Airport in Madison, Wisconsin. 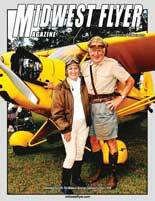 Field Morey managed the business from 1970 to 2003, and founded Morey’s West Coast Adventures and Instrument Flight Training programs in 1980. 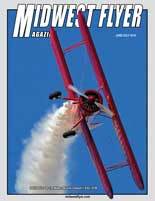 He also holds a number of world records for speed and endurance in a single-engine airplane. 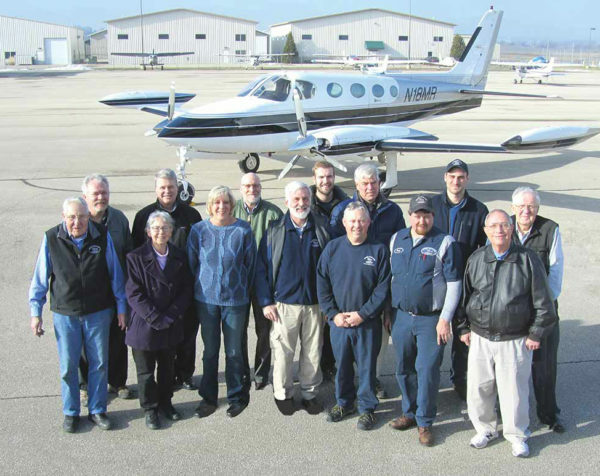 Morey Airplane Company was honored by the Wisconsin Aviation Trades Association (WATA) with the “Wisconsin Aviation Business of the Year Award” in 2014. 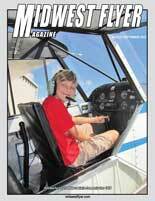 Morey Airplane Company was selected from among 250 aviation businesses in the state. Richard Morey is a graduate of Blackhawk Technical College in Janesville, Wisconsin, and grew up at the airport, working in each of its five departments. 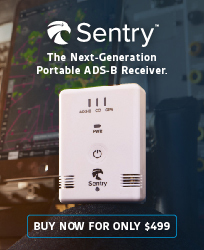 Morey is a professional pilot with more than 17,000 hours, a flight instructor and a licensed aircraft inspector and technician. He was appointed airport manager for the City of Middleton in 2003. Morey’s sister, Debbie Maier, has been office manager since 2006. Among the many activities the company is involved with in the community include hosting an annual fly-in breakfast in July in cooperation with Chapter 1389 of the Experimental Aircraft Association (EAA), Flying Hamburger Socials, and FAASTeam safety seminars. 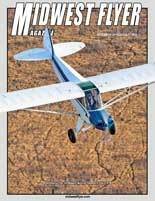 Middleton Municipal Airport – Morey Field is one of few airports in the Midwest where you can train in a modern airplane, or fly in an open cockpit biplane. To learn more about careers and services at Morey Airplane Company, visit their website at www.MoreyAirport.com or call Richard Morey at 608-836-1711. 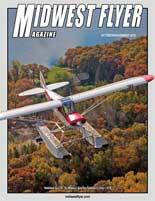 This entry was posted in All Features, Features, February/March 2019, Wisconsin Aviation Industry News and tagged aircraft fuelers, Aircraft Maintenance, aircraft technicians, Al Barger, charter pilots, Dave Weiman, Debbie Maier, flight instructors, Harold Green, Middleton Municipal Airport – Morey Field, Midwest Flyer, Morey Airplane Company, Richard Morey, Rollie Mack, WATA, Wisconsin Aviation Trades Association. Bookmark the permalink.